It is with great sadness that we announce the passing of our beloved Mother Georgina at Langley Memorial Hospital. She was predeceased by her loving husband Louis (2013). She is survived by her two sons Vince (Deanna), Colin (Leona); grandchildren Christopher, Justin, Danielle, Krista, and seven great-grandchildren. Born in Saskatoon, moved to Toronto in her early twenties, then headed west with best friend Ione Hicks and settled in Burnaby. She worked for Canada Safeway for many years. 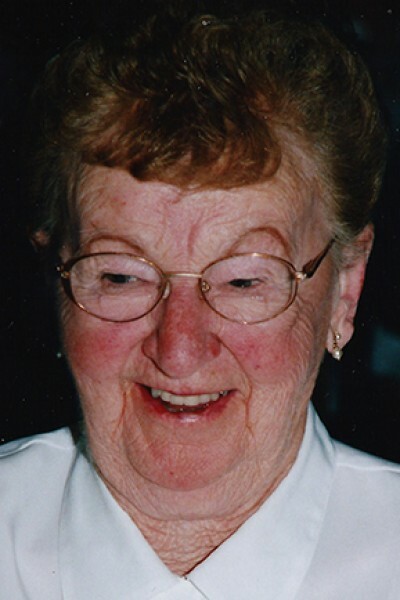 Georgina was an accomplished baseball player in her youth and a lifelong square dancer with her partner Louis. A special thanks to the residents, staff, and her caregivers at Magnolia Gardens for their kindness. Internment at Valleyview Cemetery Surrey. No service by request. Condolences may be sent to the family by visiting www.hendersonslangleyfunerals.com.